South Africa — Infrastructure new — South Africa’s fast growing plastic pollution crisis requires a rational solution not an emotional one. This is the view of Anton Hanekom, Executive Director of Plastics SA. Speaking at the ProPak Conference at Nasrec, Johannesburg recently Hanekom said that the call to ban plastics products was a simplistic response to a complex problem. “Something that many of those leading the call to “wage war on plastic” fail to understand is the terrible impact that alternative materials have on the environment,” Hanekom pointed out. “It is tempting to imagine a world without plastic as some sort of environmental utopia. But, when used in consumer goods, plastic uses four times less energy than alternative materials such as metal, paper and glass. In fact, alternatives to plastic packaging would nearly double greenhouse gas emissions,” he stressed. Hanekom noted that if disposed of correctly plastic is one of the most environmentally friendly products there is. “And this is where the solution to plastic pollution can be found: in the correct disposal and management of plastic waste,” he said. Hanekom explained that waging war on plastic was not the answer and instead, there should be an increased focus on waging war on plastic pollution. 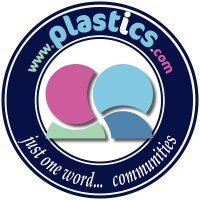 “To win the war on plastic pollution, every role-player in the plastics industry needs to confront some hard truths. This includes us as the producers of plastics, but it also includes government and consumers. “From our side, we are willing to make bold and constructive changes to our products. As members of the South African Initiative – an alliance of key members of the full packaging value chain – we are committed to transforming all our products to make them more environmentally friendly and recyclable,” Hanekom highlighted. He added that for the industry to be successful, it needed to work closely with government. It is, after all, the role of government to provide adequate waste management infrastructure and to correctly incentivise citizens to recycle. “We need government to urgently fix South Africa’s inadequate waste management facilities and improve infrastructure for collection and recycling. In doing so, it can create thousands of new jobs while safeguarding the 100 000 formal and informal jobs that the plastics industry currently provides,” he said.